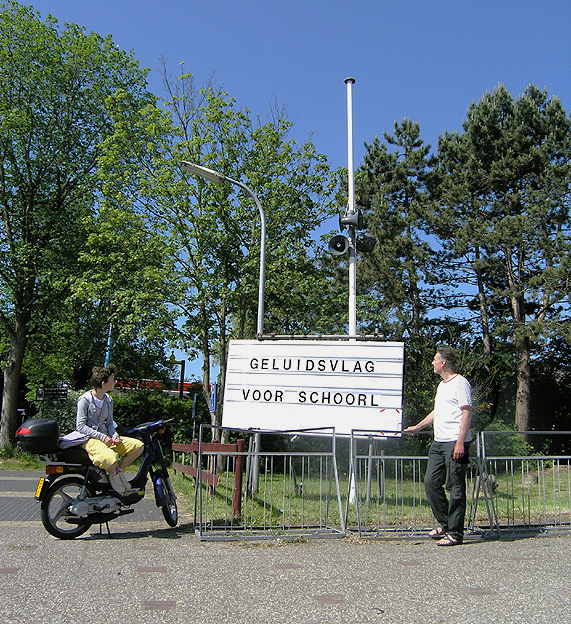 2006 : four channel sound flag installation for Schoorl, a little Dutch town on the west coast of Holland, made in cooperation with writer and poet Theo Olthuis. 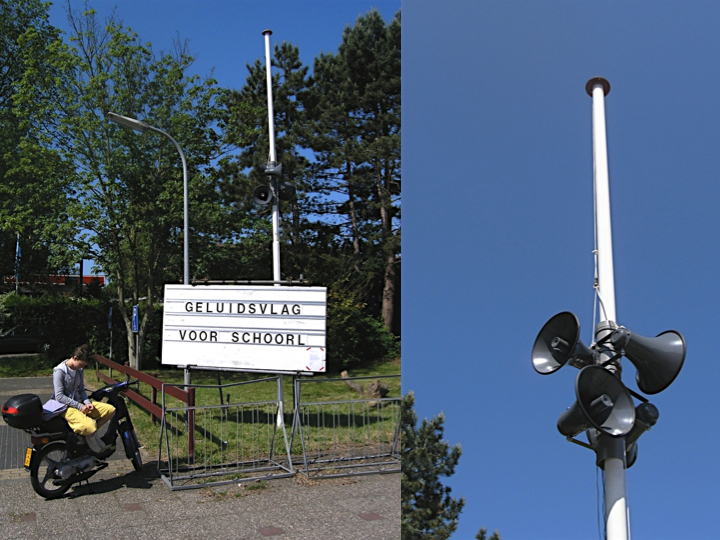 Poems written by Theo Olthuis about the town Schoorl, the surroundings and history, where amplified and spread into the public space by the horn speakers of the sound flag. The poems where recited by several inhabitants of Schoorl, young and old. Poetry sentences of the different poems where at randomly scattered by the sound flag becoming a constantly changing new poem in the context of Schoorl. Once a hour the public could hear the original poems spoken out by the inhabitants in “close harmony”. The passer by, walking or biking could hear some poetry words already far away; when getting curious and getting closer the sounding words and poetic context of all the four speakers together could be recognized. Waving words, voices scattered by the wind….